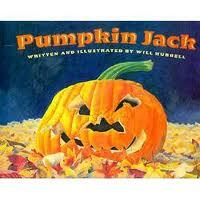 If you don't own the book, Pumpkin Jack yet, you need to order it for next year! It's such a great book explaining the life cycle of a pumpkin, and you could do a fun experiment with it too! Deanna Jump has created an amazing science packet that includes an activity based on the book, Pumpkin Jack. In volume 1, there are many other activities that follow the fall seasons. You can find it here. The kids watch Jack every day, and we will add an entry in our science notebooks every week showing how Jack is decomposing. Last year, I did just the crafty pages of the Zero the Hero books. This year, I added an "All About the Number ___" page. The kids write the number, the number word, tally marks, draw that many objects in 10 frames, and for 30 stamped 30 cents. This was one of our math centers a few weeks ago. This math center is super easy to create, and came from my friend, Leslie. 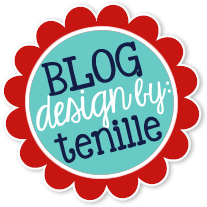 She's not blogging yet, but she should - she always has great ideas! After we went to the pumpkin patch, the children did their pumpkin investigations. It was super fun! The idea for this sheet came from Mrs. Lee. We charted the words, and then wrote pumpkin poems. This is the science center - I set out a variety of pumpkins and gourds for the children to explore and measure. Pumpkin Jack sits here as well too. I noticed yesterday he is just starting to mold -- the children will be very excited to see that on Monday! Tomorrow I will post pictures from our Monster activities and Halloween! Friday was such a crazy day that I forgot to take pictures! The numbers are for the math center drawers, and the letters for literacy centers. This is how the centers look for literacy centers - there is a matching sign on the wall (or in this case the easel) and on the basket. I think this has helped the kids know exactly where they need to be. Phew! Halloween eraser graph - I found the dracula and cat erasers at the Target Dollar Spot, I had the pumpkin erasers (but I saw them at target this year), and I used plastic spiders. I put them in a bucket and let the kids take a hand full. Spider addition: the kids rolled the dice, counted that many spiders and put them on the first web, they did the same thing for the second web and counted how many they had all together. This cute clip art is from DJ Inkers -- love the monsters! The kids measured them with unifix cubes and links. This idea came from Mailbox Magazine - the kids throw the ghost in the air and color the side that the ghost lands on. When one side is full, they stop and compare with their partner. The children practiced writing their numbers to 30, and then counted the little lima bean ghosts into the pumpkins. I'm stumped for ideas...I feel like I've tried everything and hit a wall. What's your best behavior management techniques for individual children? Leave a post below and share your knowledge! I bet there are more people than just me that could use some help! Do you ever feel like you had to keep adjusting the way you do things to fit the needs of your class from year to year? Earlier, I posted about my literacy centers and writing time - splitting the kids in half so some were writing and some were working at literacy centers. Well, that didn't work for this group of kiddos. I have a pretty rowdy bunch with some pretty significant behaviors. I also didn't feel like I was getting in a good writing lesson plus share time for the kiddos. So, I went back to the old model of 4 rotating centers (4 because my Mondays are wacky and it worked out better to have 4!) Well, the groups got too big, and kids were not working well together. So, I came up with the buddy system. The kids got to choose their own partners and they work with these partners during both math and literacy center time. (They are also their journal share partners). Since the kids are working in partners, I need to have more than 4 centers. So, they are now rotating through 8 centers for 2 weeks. (There are also two groups of 3 - I made sure that these groups included the kiddos that get extra intervention support, so they are not always their for the full literacy and/or math center time). Listening Center: We are reading books about monsters this week, so the kids are listening to The Great Monster Hunt. On their response sheet they will draw a picture of what they thought the monster looked like and what it actually did look like. This is a really cute book! Sight word haunted house: The windows on the house open and close, the kids look behind the windows and read and write the sight word they see. Letter/Sound Sort: This idea came from Deanna Jump. The children cut apart the pictures and sort them according to their beginning sound. This will be a center that will stay the same. The kids can try to label their pictures when they are done. Spider Rhymes: The children find the matching pictures that rhyme. I gave them a little extra support with this one by using matching scrapbook paper for the rhymes. If they have trouble finding the rhymes, they could look at the paper. When they find the match, they write the words on their response sheet. (I made labels with the words and stuck them on the back). Spooky ABC Shake up- I thought I had a picture of the cute cover - I'll try to remember to post one later. I got this idea from First Grader...At Last. She uses numbers and the kids write addition sentences. I thought this was great for kinders though! Pocket Chart: The sight words of the week are like and my, so the children match the colored web to the color word. They then wrote the word on a matching response sheet (I like my _____ spider web) and colored a spider at the end the same color. Poem Reconstruction: 10 Little Pumpkins. This was the first poem reconstruction that we have done, so I kept it pretty simple. The kids cut the strips out, and put it in order. They can either read the number words or look at the number. I made the pocket chart below to support their learning. I have always loved the idea of doing predictable charts with children. However, I have never been able to do get in the habit of doing it because they take SOO long! It is not effective unless you write each word in front of the children -- because you have to write each word, the children only really have the patience to watch you write 3 or 4 lines. Well....I have an interactive white board in my room, but you could do this if you just have a projector since you are not really utilizing the "interactive" part of the IWB. I created a simple table for the number of words that I knew we were going to write. As I asked the children the question, I simply typed on my computer! It was brilliant! The children still could see, say, and spell each word as I typed it. I could get through all the kids in about 5 minutes! I later when back and played with the table a little bit so it was big enough for the kids to cut out and reassemble. I cut out each strip for them. I knew that there were going to be some sneaky ones who would just glue the whole line down or cut and glue the words in order. So before they could have the page that they were gluing the words down, they had to completely cut it out. I'll assemble the pages in a class book for the kiddos to read. I think they turned out great! Here is another example from a friend. She called the kids over individually and then cut the words up for them to assemble. For some, she cut all the words apart, for others she only cut a few words apart. When I did my education coursework many years ago (ugh, it wasn’t that long ago…) one of the buzz terms flung about was ‘Multiple Intelligences’ more easily understood as learning styles – apparently every person has multiple ways of accessing their education. Some children prefer to see everything, others need to hear it, still others need to use their hands, etc. You can go a little deeper and say some sprouts prefer a logical/mathematical or musical approach to learning. To make matters more confusing, most people don’t prefer one style, but rather a spattering of one or the other or some combination of all of them. With so many approaches to learning, how is a teacher to reach all his students successfully? Now I adore being a kindergarten teacher… I think that’s rather clear. I don’t mean to suggest teachers of other grade levels are lacking in any way, shape, or form, but what I’ve found is that in kindergarten, we hit upon every learning style in almost every lesson just about everyday. It’s just the nature of dealing with five-year-olds. Linguistic intelligence ("word smart") – You can’t begin to think about words until you’ve mastered letters and sounds… something we do almost every second in kindergarten. Using The Three Habits of Highly Successful Reading Teachers, my sprouts have already mastered almost every sound and most of them can read about eighteen sight-words. It’s only the end of October – this is revolutionary word work we’re doing here people. Logical-mathematical intelligence ("number/reasoning smart") – It all begins with numbers and counting. We count the numbers of days in school starting on day one. The number increases by one each day, moving us forward at a developmentally appropriate pace. We also sing about writing numbers to help us remember the strokes involved, but we’re not talking about music… yet. Spatial intelligence ("picture smart") – A picture really is worth a thousand words. Kindergartners know this better than anyone. Before we’re ready for letters and words, we’re writing complicated stories using nothing but pictures. Staying in the lines is encouraged, but not imperative. Scribbling (i.e. rushing) often turns into careful crayon control as the year progresses. Bodily-Kinesthetic intelligence ("body smart") – When you deal with five-year-olds all day long, you learn they don’t sit still for long. We have a motor break, on average, every ten minutes or so. Sometimes we sing, sometimes we dance, and sometimes we move from our tables to the floor or from the floor to the tables. Sometimes we take an extra long way to the cafeteria. Whatever we do, you can bet we’re not sitting still for long. Musical intelligence ("music smart") – Sing, sing, SING! We sing and dance all day long. I’ve never actually counted the number of songs we sing and move to on any given day, but my guess would be the total would be somewhere around fifteen. Yes, we could record (a rather long) album of tunes in a single kindergarten day. We don’t all sing in tune, but we ALL sing. We all don’t have amazing rhythm, but we ALL dance. Quite simply, in kindergarten, we love music. Interpersonal intelligence ("people smart") – Have you ever watched a group of children navigate the tricky trail of playing with LEGO pieces? When there are only a few treasured wheels in the set, sharing and negotiation skills are developed quickly. Ditto for the dollhouse and the playground. Intrapersonal intelligence ("self smart") – There is no more explicit instruction on the identification and understanding of feelings than in kindergarten. We read, write, and talk about our feelings daily. Naturalist intelligence ("nature smart") – We go outside at least twice a day (many times more). 'Nature Walks' are standard fare. We use nature to discover symmetry and learn about life cycles. I’ve only touched on how we hit upon each intelligence in kindergarten here. The examples are numerous and ongoing. The simple fact is, kindergartners are an open book. They are, by nature, divergent thinkers. A kindergarten teacher incorporates all of these styles daily, often many times each day. The energy and spirit of my sprouts demand it and, thankfully, it helps keep me vigorous and young. 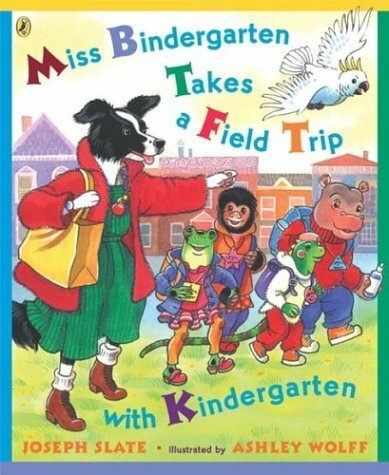 Last week we read one of our reading series books (SF), Miss Bindergarten Takes a Field Trip with Kindergarten. The children were able to make some great text-to-text connections since we had read Miss Bindergarten Gets Ready for Kindergarten back in August. I was able to introduce the word schema and the children made some great predictions about the text based on their schema. I decided to use the theme of Miss Bindergarten to incorporate some social studies. We took a couple of days and learned about what community helpers are and where they work/what their job is. We also made a community map to learn about nouns. These ideas came from April Larremore's blog over at Chalk Talk. We made a circle map to brainstorm some things we wanted to be when we grow up. We also learned about nouns. We brainstormed and made a list of all the things that we see when we are out in our community. Each child drew some sort of building (house, restaurant, school, etc.) The next day, they drew the smaller things (nouns!) to add the details to the mural. We added labels on the very last day! So, in total it took us about 3 days about 15 minutes each day. There was a bit of prep work on my part - typing the labels and cutting things out for them, but they went away understanding what a noun is! Today I visited my good friend, Miss Jensen, in her wonderfully warm and welcoming kindergarten room! It's always exciting to visit someone else's room, don't you think? I always walk away with great ideas! When she introduces new sight words, she uses these two small magnetic white boards with the larger magnetic letters that are available from Lakeshore Learning. She shows the children how to build the sight words, and throughout the week, she asks children to "mix and fix" the sight words. The children are so proud coming up and showing their friends what they know! She also has the children write the sight words that they are working on on this paper to bring home to show their parents. What a great idea! The families can hang the paper on the fridge, door, mirror, etc. and children can be reminded to practice them daily! Every week we work on a new word family. I use the book Making Words by Hall and Cunningham and choose a new lesson each week. We build the words together using letter necklaces. You can find a set from Dr. Jean's website. I put the vowels on red construction paper and the consonants on blue. I choose children to come up and be the rime (the ending part of the word) -- they say their sounds, and then come together to make a new sound/ending. They keep their arms around each other and become one new sound. I then choose another child to come up and be the onset of the word. We practice segmenting each sound and blending them as well as by onset and rime. Sometimes the children understand the onset/rime right away, sometimes we need to take a bit longer and segment each sound. We practice the word family throughout the week - building the word on our dry erase boards, with letter tiles, and on the interactive white board. Sometimes I will give groups of students baggies with letter tiles and let them figure out all of the words they can make! We also talk about words that are real and words that are nonsense. Kim Adsit (or click here) introduced me to a great new idea which she calls the "Word Family Book." I thought this was such a clever idea I had to do it right away! You need a steno notebook for each child (you can get them at Sam's club, and they are pretty reasonable!) Make a cute label for the cover. Each week, we write a new word family in our books. I write it on chart paper or on the interactive white board. They write the words as we go in the word family book. They write the words on the left side on the middle red line. If we come to a word that does not follow the "rule" we write it on the right side. The kids really enjoy writing word families in their word family book! Here are the literacy centers that the children did last week. Matching beginning sounds: The children used the Lakeshore Learning beginning sound puzzles to listen for the same beginning sounds and match the puzzles. When they found a match, they wrote the letter on their page. The children used letter tiles to build the sight word they chose. They wrote the word on their response sheet as well. The children matched candy corn puzzles. When they finished they wrote their ABC's. The children built CVC words with magnetic letters. When they built the word, they wrote it on their response sheet and drew a picture of the word they built on their response sheet.